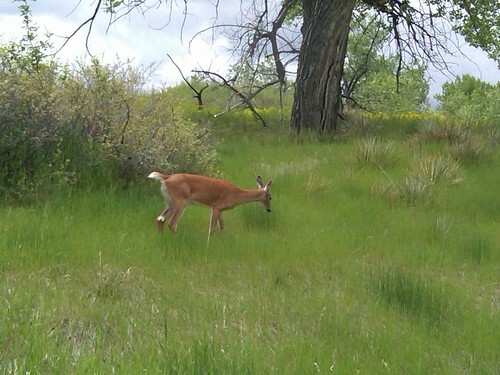 You are at:Home»Great Falls Montana»Thar Be Deers Here! Took a fun drive south of town to the Woodland Estates area after breakfast at JJs – saw some flooding in some areas, more on that later – but the BIG NEWS was seeing some baby deers! Here’s a sneak peek!